Are you feeling anxious and confused or that there is so much going around in your head you don’t know what direction to turn next? Are you looking for an opportunity to develop your inner strengths and personal insights through an integrative approach based on individual needs? If you are answering yes to any of these questions then perhaps I can help you. 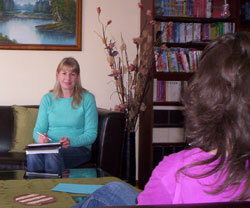 My name is Lynne and I can offer you a quiet space for us to work together to find the answers you are looking for. I am a qualified counsellor, an accredited member of the Australian Association of Counsellors and have a wealth of life experience. Taking that first step can seem a daunting task but potential benefits include better problem solving and coping skills, reduced feelings of distress, improved relationships and problem resolution. As with anything we do there may be risk such as the experience of uncomfortable feelings like sadness, anxiety, anger or helplessness or recalling unpleasant events but I will support and help you to handle the risks and experience at least some of the benefits. Lynne Rolfe Counselling is based in Drouin and services clients throughout south-eastern metropolitan Melbourne and West Gippsland. If you are unsure about proceeding I also offer a free Initial 15 minute consultation. Would you like to know more? Please contact me.